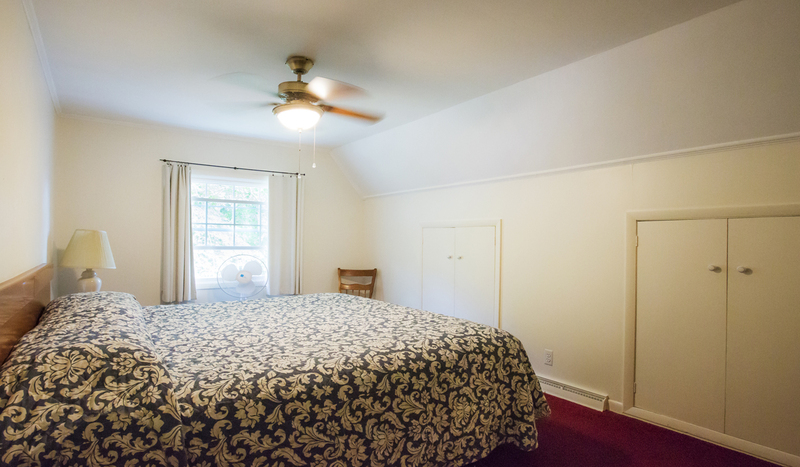 The larger of the 2 Carriage House units features 2 bedrooms, 1 with a king bed and 1 with two double beds. The large living room area has 2 sofas, one of which is a pull-out and cable TV. Full size eat in kitchen, with dishwasher. This unit is heated and does have AC in the living room area. We have found that the numerous large windows and fans are usually sufficient for cooling of the rest of the unit. One of 2 units in a converted Carriage House, featuring a bedroom with a bunk bed and a twin bed. 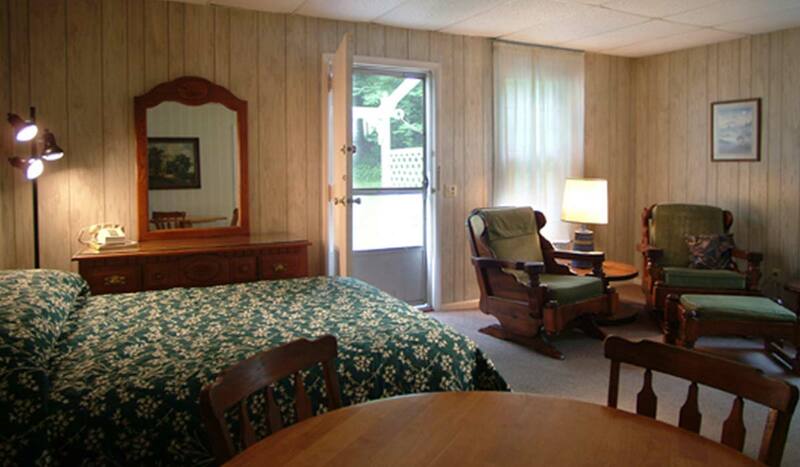 The main room has a queen bed, dining/living room area and cable TV. 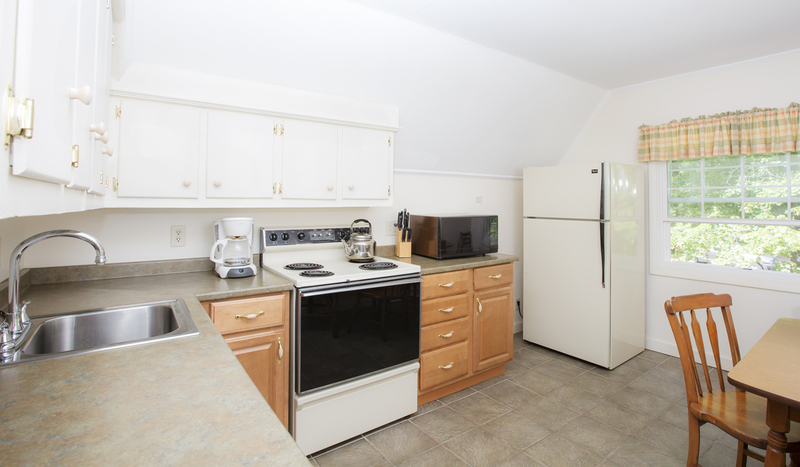 Full kitchen, barbecue area and a covered picnic porch shared with the other Carriage House unit. AC and heat. 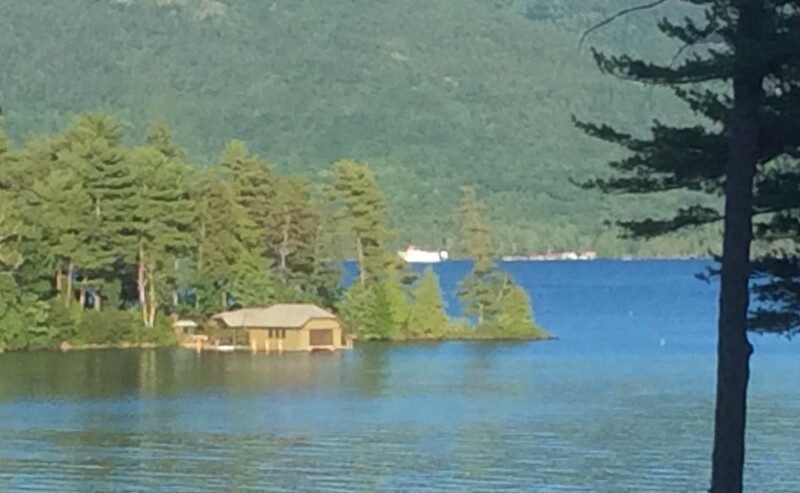 From the private back yard of this unit, you have a view of the lake. *Pre/Post Season – $15 per night each additional person; 2 years and under $5 per night. 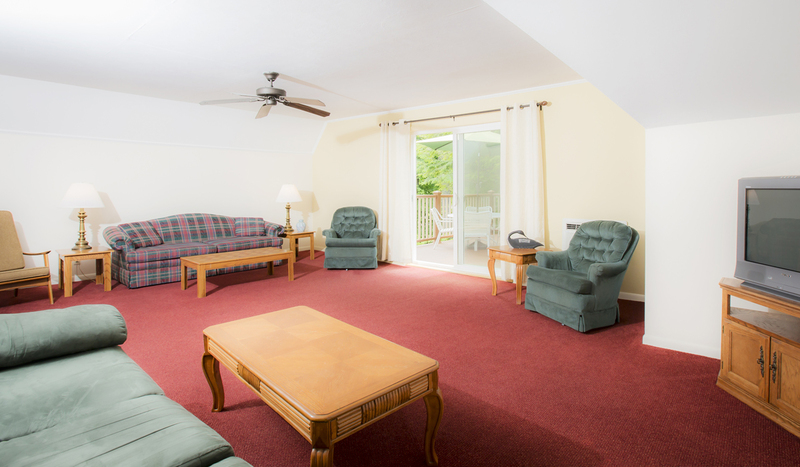 In Season (Jun 29 to Sept 1) these units are rented on a weekly basis only. A non-refundable deposit of $750 is required. A reservation cancellation up to 15 days prior to check-in is subject to a 15% service charge. Lodging Website Design and Development by Mannix Marketing, Inc.